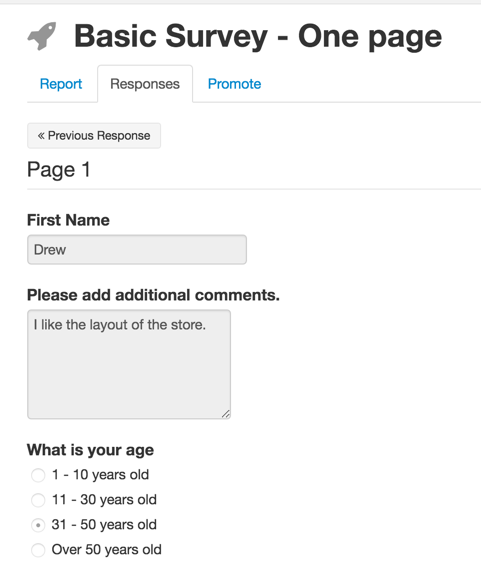 Once you start a survey, it will collect responses for you. We collect your response data and then give it back to you several different ways. Here is a breakdown of the different ways you can collect the data from your responses. 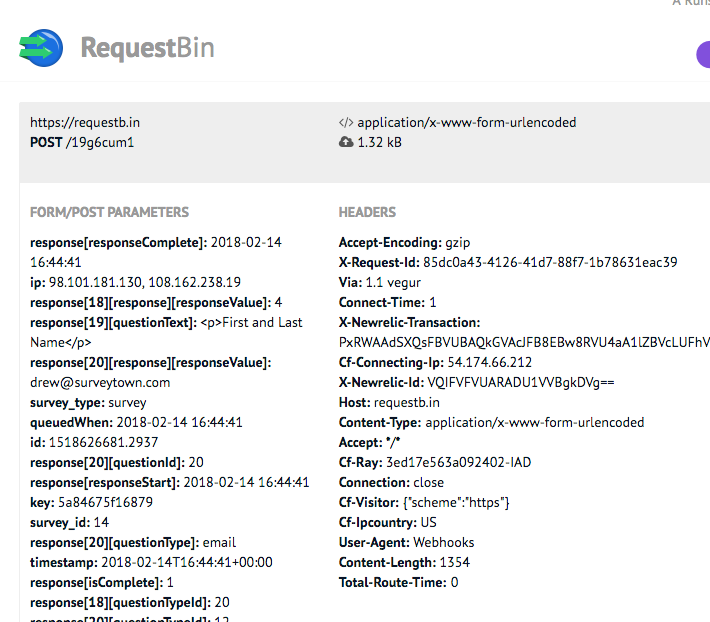 We collect your responses and show you the response data in aggregate in our reporting page. Using filters, you can also slice and dice your survey data, re-arranging your view of your data using answers to previous questions. So for example if you asked your respondents their gender, you could then filter you results just to see graphs of the responses from men or women. Many customers want to present their survey finding into PowerPoint presentations that they can then show to their collegues. We make this process easy with our feature to Export to Powerpoint by clicking the “Export to PPT” button at the top of the Reporting section of the survey. If you are interested in seeing any particular response we give you a “grayed-out” view of individual responses. First look at your list of responses and then click the “View” icon. If you want to manipulate your data in Excel or Google Sheets, you can export all your response data into a CSV and then from there you can import into different systems to create your own reports. Survey webhooks are notifications that we can send to a listener of your choice via an HTTP POST when someone takes certain actions in their survey account. A listener is simply a script that lives at a URL that stands ready to do something with the information we send it. Then when a respondent completes a survey we notify the listener with answers to the questions. That listener can then “do something” with the data immediately, like add it to a CRM database. Webhooks are the best way for programs to stay in sync with each other in real-time. Unlike Webhooks which push information to you, our survey API allows you to retrieve you survey data “on-demand”. 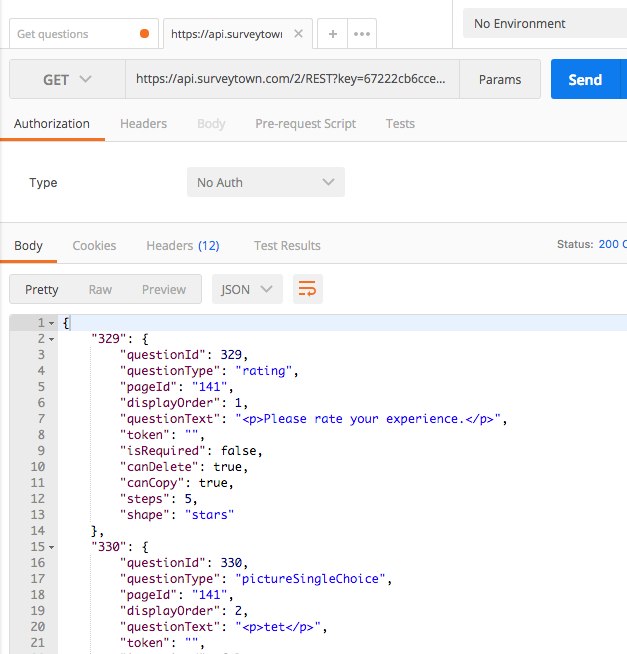 Get an API key from your account and connect to our service at https://api.surveytown.com/2/REST/ to retrieve your data in JSON format. In sum, once your respondents start taking your survey, you can retrieve you data in a many ways. We strive to help you access your data in a way that is most useful to you at the time you want to get access to it. Every Webhook needs an endpoint — a listener script that “does something” when it receives a notification. SurveyTown has survey webhooks that allow you to receive notifications when different events happen inside your SurveyTown account. Why would you want to receive these notifications? So a common use case would be if you wanted to update a separate systems when someone completed a survey, you could receive a webhook notification from SurveyTown when the survey was completed and after receiving that information you could then do something with that data such as update a CRM record, for example. Webhooks themselves are an HTTP post notifications. To the non-technie, the notification itself just looks like a bunch of code. But buried in the code is all the details about the event. In the case of the RESPONSE_CHANGED webhook for example, the POST includes all the answers the respondent gave to the questions in the survey. When setting up a webhook, you provide a URL where the information will be sent when the event happens – this is called the “endpoint” or the “listener”. But at that endpoint, there needs to be some code that “consumes” the information SurveyTown sends and does something with it. We thought it would be fun to give an example code that takes our RESPONSE CHANGED webhook and makes a CSV out of it responses. Why? Perhaps this CSV could then be downloaded into other business intelligence software for example. 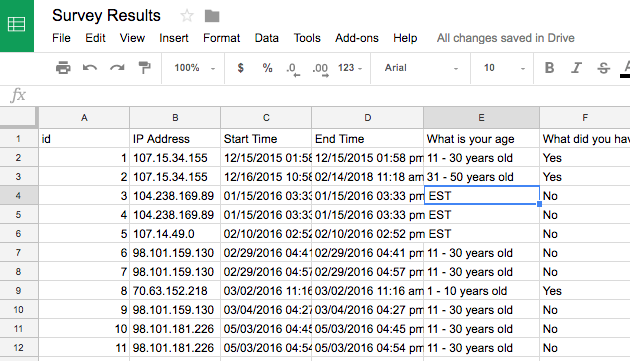 But turning the information into a CSV is just one example you could do. You could do a myriad of different things once you have the data. // Look for the response_changed webhook event. Make sure the response is complete before processing.